Getty ImagesA-Rod will be back at third base. With the 2014 season now over, Alex Rodriguez has been reinstated from his suspension and the Yankees have to move forward with an ageing player with declining skills who is still owed a ton of money. Rodriguez will turn 40 next season and he is still owed at least $US61 million over the next three seasons, the final years on his 10-year, $US275 million contract, whether he plays or not. And that number is almost certainly going to go up. Rodriguez has hit 654 home runs in his career and when he reaches 660, tying Willie Mays for fourth all-time, the Yankees will owe A-Rod a $US6 million marketing bonus. If he can hit 60 home runs in the next three years, that would be another $US6 million bonus. Of course, the Yankees put those bonuses in the contract assuming they would be able to cash-in on A-Rod’s pursuit of the all-time home run record. 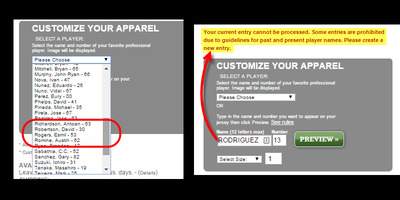 Instead, the Yankees aren’t even selling A-Rod jerseys in their official team stores or at MLB’s online shop. 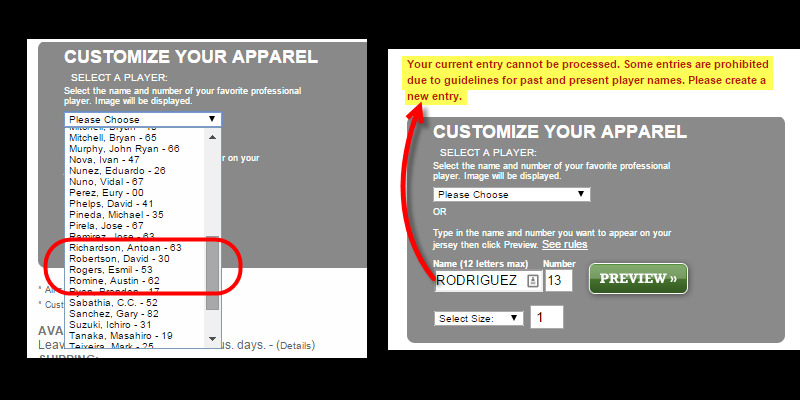 You can’t even customise a jersey with Rodriguez’ name and number. When the Yankees gave Rodriguez this contract, they knew it they would be overpaying for his production. The Yankees model for many years was to outbid other teams by giving players lengthy contracts that would almost certainly be a bad deal by the end. 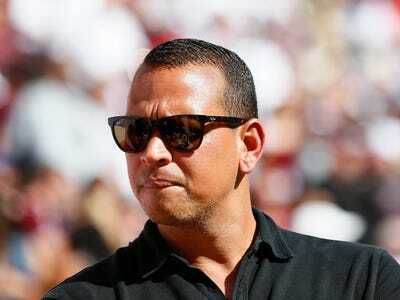 At some point, the Yankees may decide it is better to cut A-Rod and pay him what is left on the contract. But it doesn’t look like that will happen anytime soon as Joe Girardi said he expects Rodriguez to be the Yankees third baseman in 2015.